The Blade 180 QX With Camera Can Be Surprisingly Inexpensive! 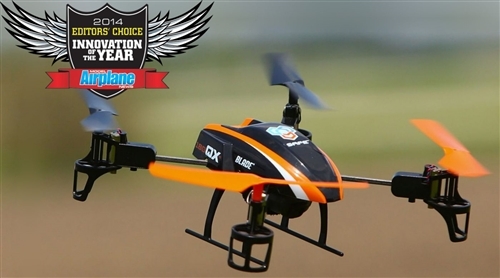 The Blade 180 QX HD BNF/RTF is a mini drone that can take HD videos and snap shots. Equipped with "SAFE" technology it can be configured for aerobatics. The term "BNF" means Bind and Fly. This means that no transmitter is included in the package. 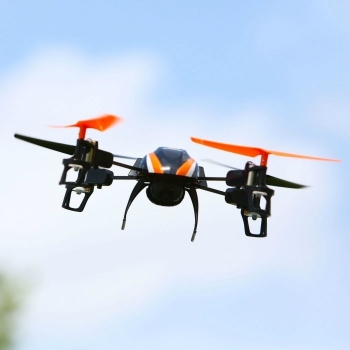 If you are an RC flyer then the chances are you have a transmitter. It does need to be a DSMX/DSM2 compatible type with a minimum of 5 channels. You will have to "Bind" the on board receiver to the transmitter. Full instructions are included. RTF indicates that this package is Ready To Fly and thus includes an RC transmitter. This is a 6 channel SAFE®, 2.4GHz model. I would probably not use this transmitter for any long range models.It is best used with micro size because of it's limited range but is perfectly adequate for the Blade 180 QX HD. This is a mini drone that as well as taking HD video and single images, can also fly aerobatics. The on board controller with SAFE® technology has 3 flight modes. High and low angle modes are specifically intended to give a stable platform for video and image capture. The agility mode allows aerobatic flight with the AS3X stability system . The E-Flite EFC-721 camera can be activated at any time and switched seamlessly between video and still, by using switches on the transmitter. I believe that what sets the 180 QX apart is the ability to film and also perform aerobatics. Horizon Hobby ( The manufacturer) say that assembly time is 1 hour. I like to take my time and understand the whole assembly process so I would probably take a little longer. This is good value for the money and is a good start into camera drones with the plus of being fun to fly! Good choice for a beginner, but be prepared for a learning curve. Full set of replacement blades included. Note that Red Rocket include a spare battery at no cost. 4-6 channel DSM2/DSMX transmitter if BNF version is chosen. The first video is the Horizon Hobbies official version. Good video but not much detail of the model. This film is from Model Flight.com and shows good details of the assembly as well as some indoor flying shots. Notice that Model Airplane News made this model "Innovation of the Year". I am sure that a large part of their decision was based on the fact that the Blade 180 QX can be used as a camera and be fun to fly aerobatics. The quality of the video and stills that are produced will not be movie theater quality by any means, But this technology is very cost effect!